Love the outdoors? Looking to become a pet parent? Many breeds make great companions for running, hiking, camping, and other types of active living. Here are a few for consideration that you may not have encountered before. The Norrbottenspets is a spitz-type dog from Sweden and Finland, originally bred for hunting in the rugged landscape of Scandinavia. Tough and very agile, they can hunt even large game, like moose, despite their small size. At the same time, they are known to be friendly and affectionate. 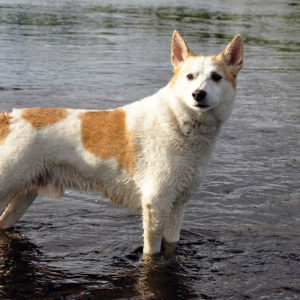 The breed has a reputation for its intelligence and need for variety in its exercise, so Norrbottenspets are best suited for pet parents who pursue a variety of outdoor activities, such as hunting, camping, hiking, and more. 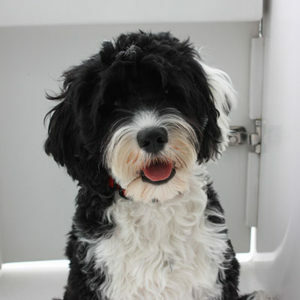 Portuguese Water Dogs are working dogs originally bred for multiple uses on fishing boats: they herded fish into nets and carried messages from ship to ship. Although they have grown in popularity due to their recent presence in the White House, they remain fairly uncommon. They are particularly well-suited for active sports in the water, whether used as a water retriever or taken on canoe trips, and are one of the preferred breeds for families who suffer from allergies to pet dander. The Harrier is one of the rarest breeds of dog according to the AKC. While the breed is known to be good-spirited and generally healthy, Harriers are also known to be incredibly active, and thus not well suited for urban apartment dwellers or pet parents who are unable to dedicate time to exercising their dogs daily. 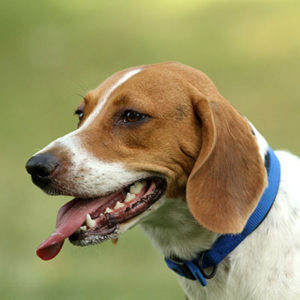 The Harrier is a hound that ranges in size and appearance somewhere between the English Foxhound and the Beagle. They require lots of exercise and love to run in open spaces, so they are a great fit for trail runners, campers, and those who have large outdoor space for them to run. 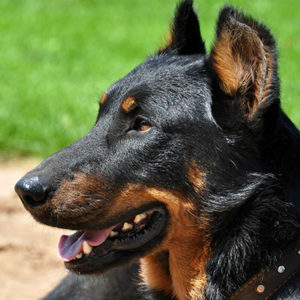 A versatile French breed, the Beauceron has historically been used as a guard dog and herding dog. They were also used in World Wars I and II as messengers and search dogs. They are large, high-energy dogs, but also known to be very faithful and gentle. As a powerful, loyal watchdog, they would make great companions for those going on long trips in the backcountry, or for runners who want a protective companion at night or in remote areas. The Lagotto Romagnolo is an ancient Italian breed originally bred as a water retriever. They are also known for their ability to hunt truffles. 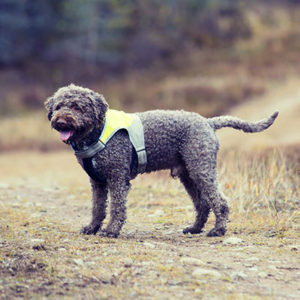 The Lagotto loves to work and is strongly built, so they are great for hunting as well as other active sports on rough terrain like hiking or camping. They are also highly intelligent and affectionate. Before you head outdoors, make sure your pet is ready to go. TropiClean’s Natural Flea & Tick line includes shampoos and sprays to ensure your pet will enjoy your outdoor adventures without unpleasant bites. Our shampoo, After Bath Treatment, and sprays kill Fleas & Ticks by contact to keep your pup comfortable and healthy. For more information on TropiClean’s Natural Flea & Ticks Products click here. And have fun with your adventuresome pup!